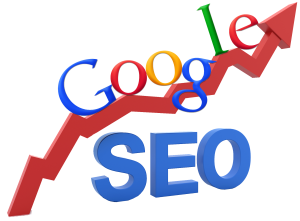 How to get better positions in search engine like Google and more traffic to your site? The solution is SEO. Search Engine Optimization helps the Websites rank in the top search engine listings for targeted keywords. It improves a website’s overall visibility and specific locations in search engines like Yahoo and Google. We help you from scratch to develop the right strategy that will provide the greatest impact on long as well as short term. Then, develop, undertake and we optimize all the SEO efforts, so you can be assured that we will manage against your objectives and ensure maximum benefit from your online investments. SEARCH ENGINE OPTIMIZATION, WHAT’S IT FOR? We can provide a global analysis of your organization’s visibility on search engines and the whole World Wide Web. We can conduct a complete report to analyze efficiency of your current website and identify his weaknesses – technical problems or bug, content management mistakes or lack of optimization. Our SEO reporting includes full analysis of your web traffic statistics, website visibility on search engines (especially on Google, which concentrate almost 80% of World search engine traffic), social networks (Facebook, Twitter and many others), then compare your results with your identified competitors. DO YOU KNOW WHERE YOUR WEB USERS ARE COMING FROM? Website users are not going from nowhere. World Wide Web is a network between millions and millions of websites, and the more connections your website have with them, the better. Web visibility is the key of your website success, because more visibility on the Web means more traffic and, ultimately, more potential customers. It’s important to work on different traffic sources. Not only it secures your ongoing traffic, but different sources bring different users and spreads your brand into different communities. Candid Sourcing will help your website to reach search engine top results in queries that are strategic for your business. If you offer on-line or e-commerce services on your website, we will also work on your “conversion rate” in order to transform web visitors in real customers.